Theatre Tokens Never Expire But Does Your Theatre Token Need Replacing? 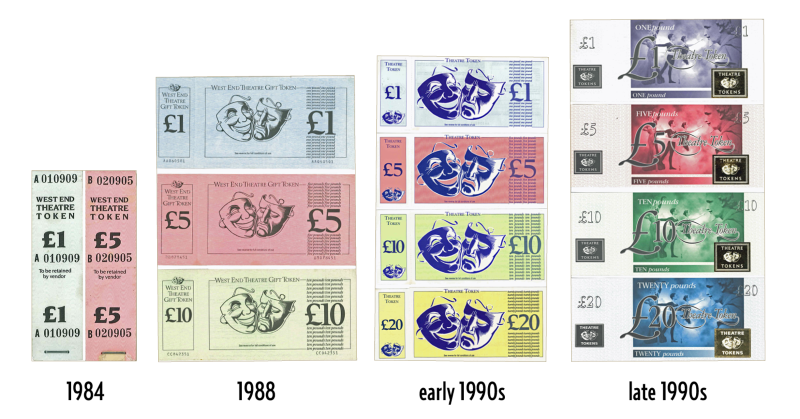 Theatre Tokens have been operating since 1984. Older issuances of Theatre Tokens do not meet the required standard of security for modern vouchers and gift cards. In order to ensure the security of your Theatre Token, Theatre Tokens issued between 1984 and 2006 now need to be exchanged for our new Theatre Tokens eGift. If your Theatre Token matches any of the above, please return it to us via the post at Theatre Tokens, 32 Rose Street, London WC2E 9ET, supplying your full name, email address, postcode and a contact telephone number in case of any queries. Before posting, we suggest you make a note of the Token numbers and we also advise sending via recorded delivery. Once we’ve received your Theatre Tokens we will issue you with an eGift to the email address you supplied to us.